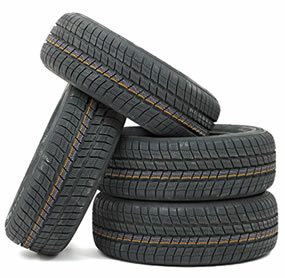 Every month hundreds of thousands of people buy tyres for their cars and vans in the UK. Most of them, over 70%, research tyres online before making a purchase. Whether or not they actually buy their tyres online they are looking at products and prices before they make their decision. 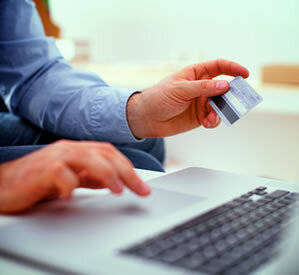 The number of people completing a tyre transaction online is growing. It is still quite low at around 8 or 9% but that is expected to double by 2020. That's not an increase in tyre transactions, it's a shift from walk-in and telephone calls to online sales. You need to be ready for that. Having your products online will increase your walk-in traffic. Most of the online sales are being fulfilled by the big tyre companies with big marketing budgets. The likes of BlackCircles, Asda and MyTyres get more than their fair share and then they get businesses like yours to fit for them. You don't own the customer and you don't set the prices. That's not fair. They've relied on the fact that independent businesses like yours find it difficult and expensive to compete with them online. That's something that is changing now. 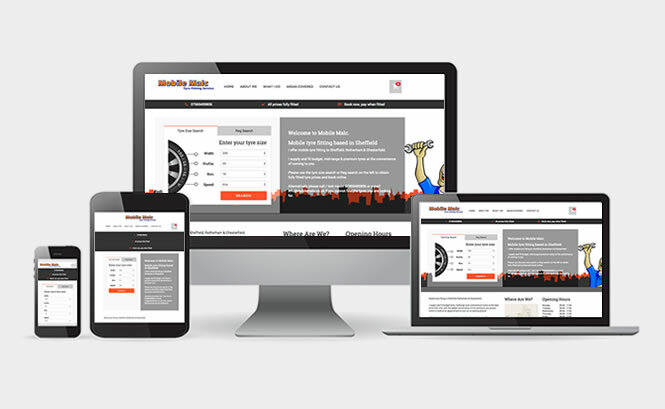 Our solutions provide inexpensive access to your share of the online tyre market. You're probably fitting tyres for BlackCircles and Asda Tyres and can see the growth in online orders for tyres. You'll be disappointed with the income it generates for your business and the hassle that comes along when customers have ordered the wrong tyres. With a SellMoreTyres.com website you can tap into your local online market and make those customers your own. You can benefit from increased profits and the ability to fit tyres from your stock or choose the best/cheapest/quickest wholesaler for the tyres. Search engines like Google and Bing understand that tyres are a product that are generally purchased locally. Because of this they like to show search results for local businesses. Sure the big boys usually get a mention for these local searches but so do many, many small businesses. Give it a try on Google, you'll see a local map listing tyre businesses and you'll see businesses like yours. A SellMoreTyres.com website is specifically optimised to do well in search engines for local searches. Together with your branding and your prices you can compete with the big websites and make more profit. Every SellMoreTyres.com website comes with a full product catalogue of over 10,000 tyres which means you don't have to worry about uploading tyre pictures or manufacturer logos. Each site has a size and vehicle registration number based search as well as advanced filters allowing your customers to find the tyres they need. When an order is placed you will receive a text message and email informing you about your new customer. All you need to do is order the tyres from your preferred supplier and then fit them when the customer comes in. You know your local market better than anyone. You know what they buy and why they buy it. It's important that you have control of your online prices and that you can easily change those prices to respond to what's going on in your marketplace. SellMoreTyres.com offers a flexible but easy to use pricing system. You can upload your prices direct from your wholesaler or from your garage management system. You can adopt our standard cost price list and add your margin or mark-up in a variety of ways; based on tyre size, vehicle type, tyre type (run flat, winter etc.) or cost price bands. We can get your SellMoreTyres.com website up and running in just a few hours. Our support team will help you through the set up process making sure you've got the website looking just right and got your pricing nailed on.